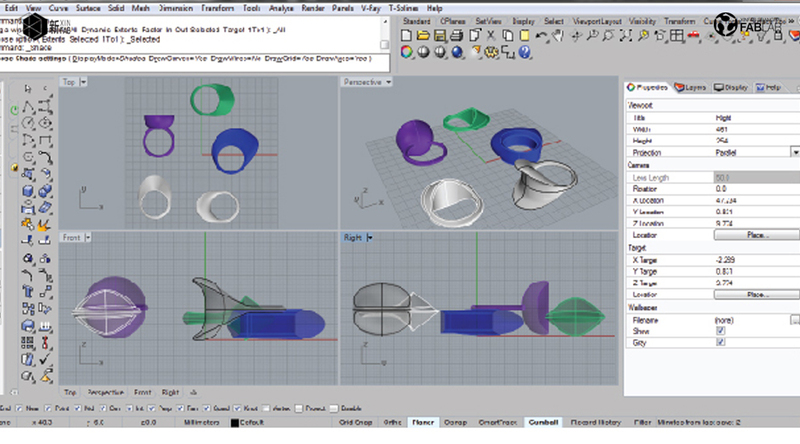 Join jewelry designer and digital fabrication enthusiast Pamela to learn how to create a 3D model of a ring and then get to print it yourself. 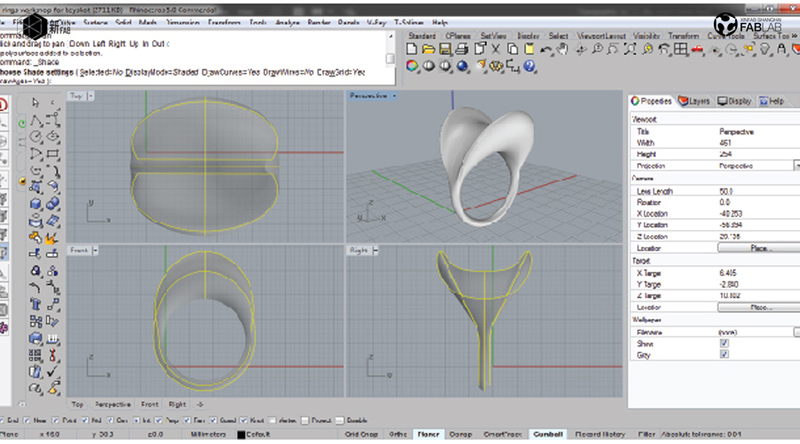 You will first get an overall and basic view of what Rhinoceros 3D software is, and with this basic knowledge, Pamela will show you how to build your own 3D ring, based on her design. 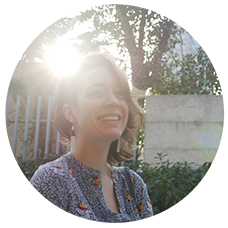 No previous knowledge is needed, but if you already are a bit more skilled you can modify Pamela's design to your taste or even create your very own design. 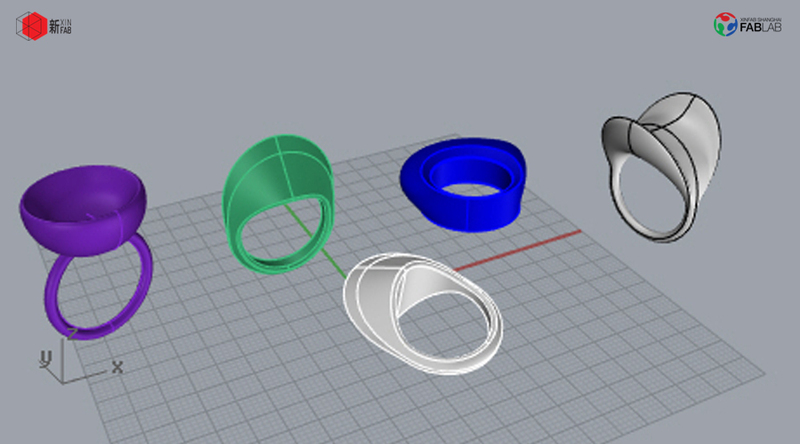 At the end of the workshop, you will bring home a ring or two 3d printed rings, depending on the workshop speed and number of participants. 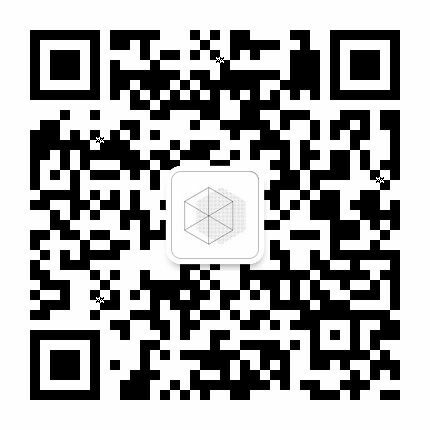 You will know how to use the basic tools and navigate through Rhinoceros 3D, how to use Cura and set up the 3D printers at Xinfab for your future 3D prints. _Practice the commands to build your own ring! _(Optional) Clean the ring with sand paper to remove any leftover and smooth the edges. 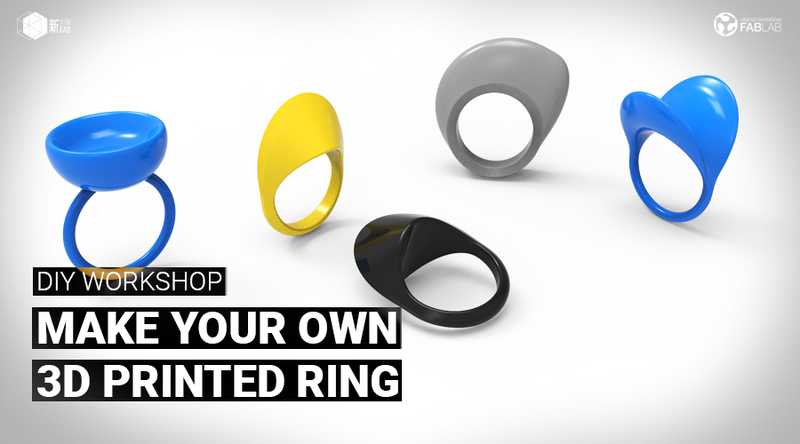 _Take home your first ring designed and printed by you!